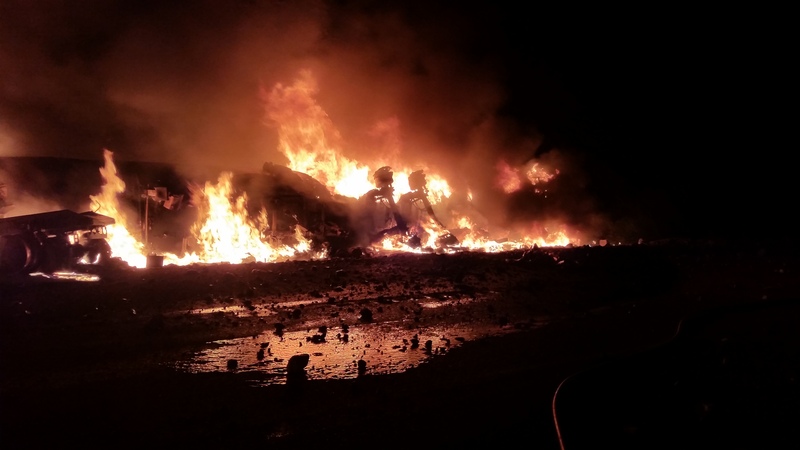 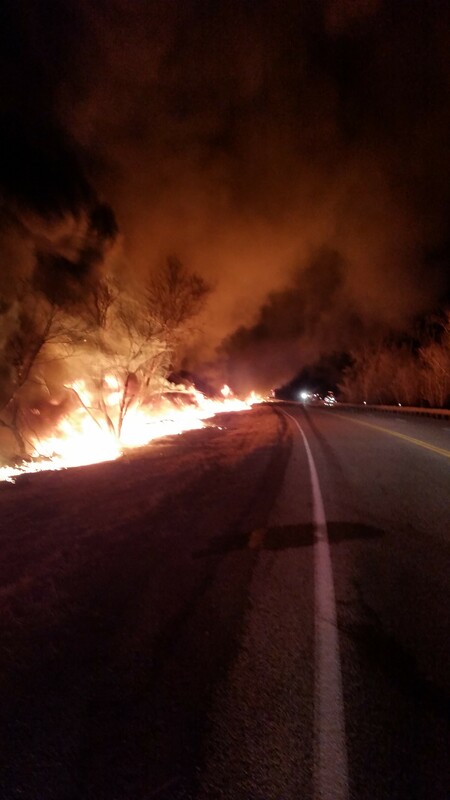 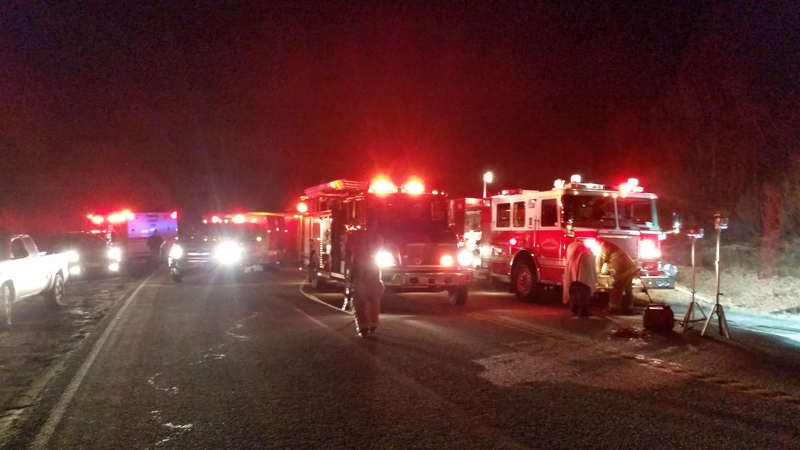 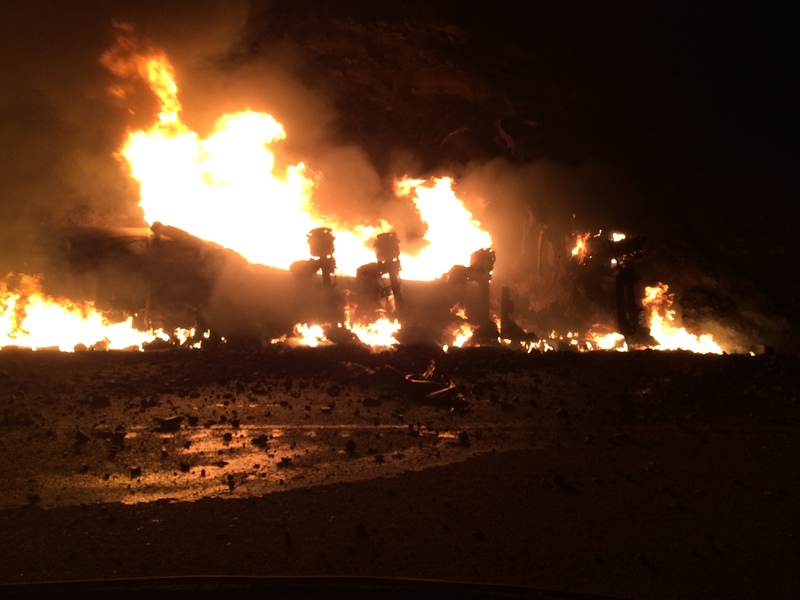 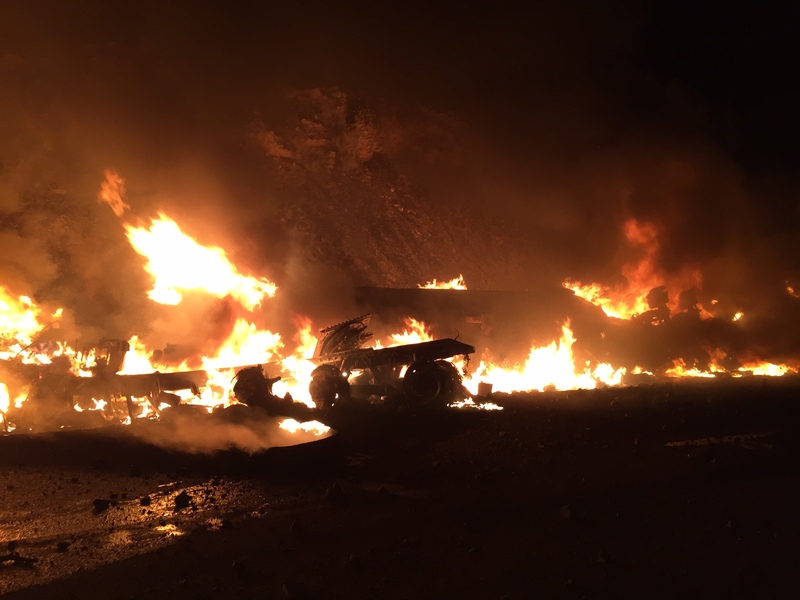 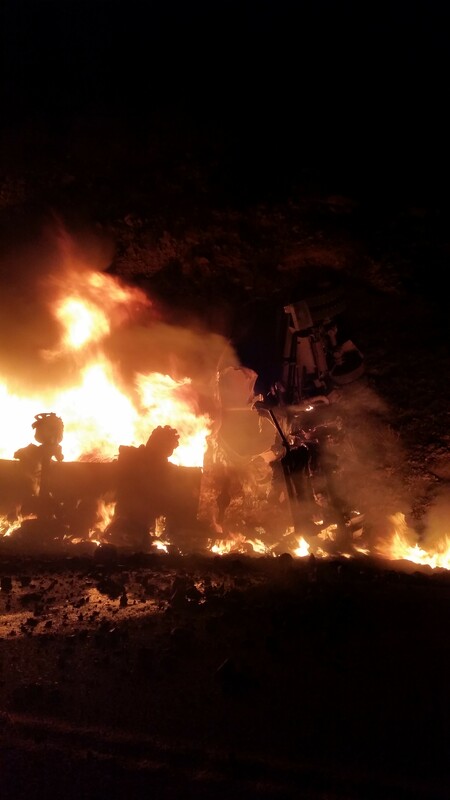 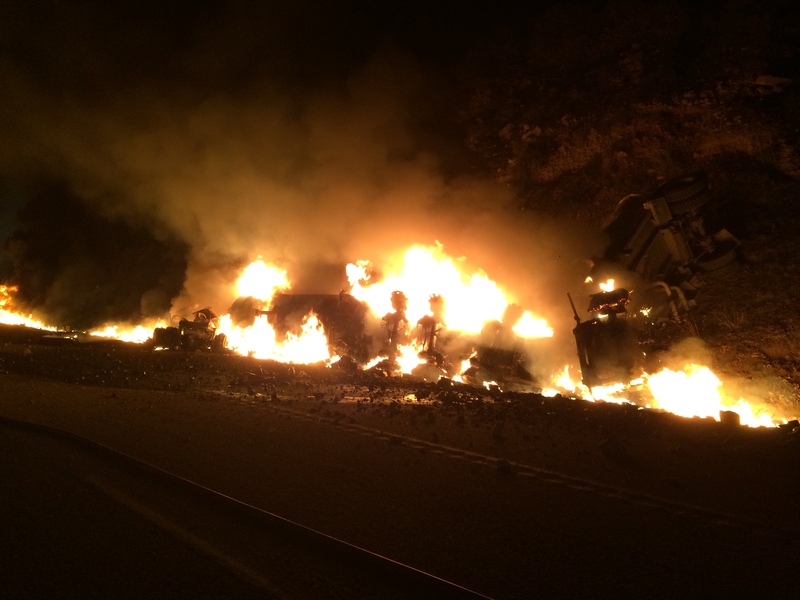 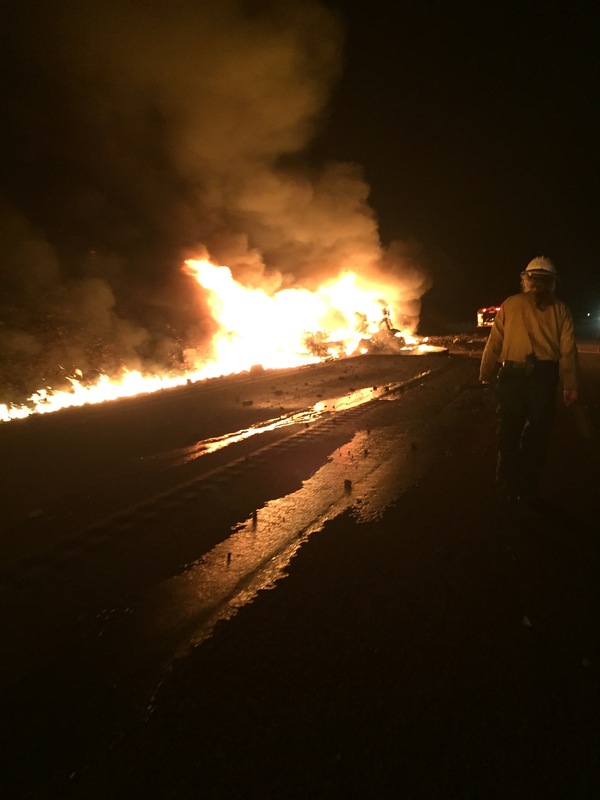 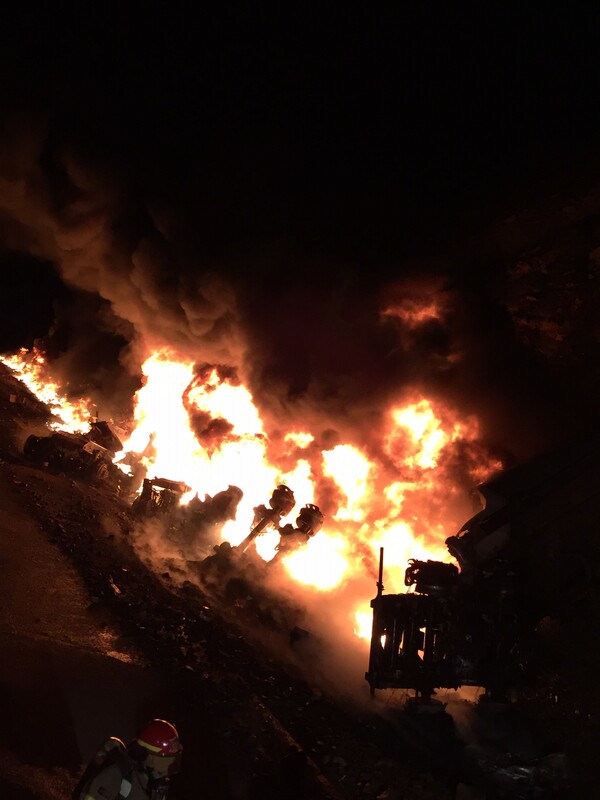 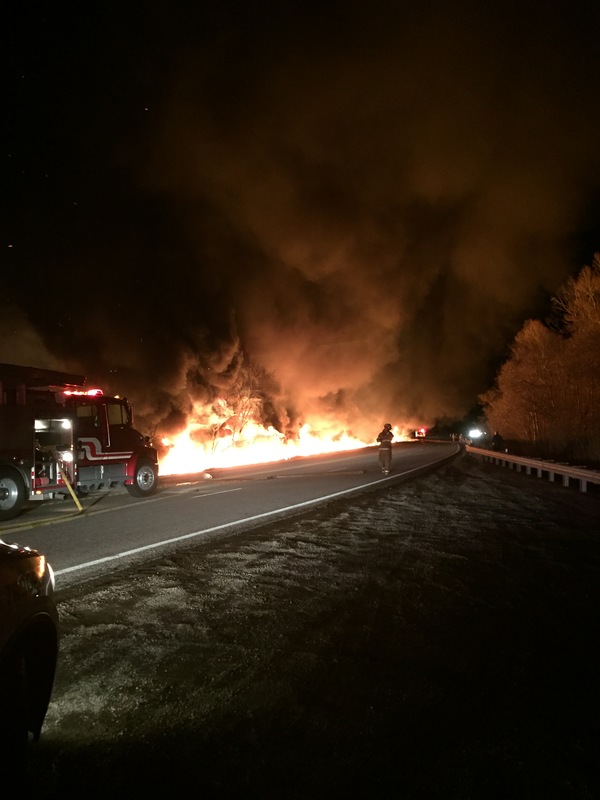 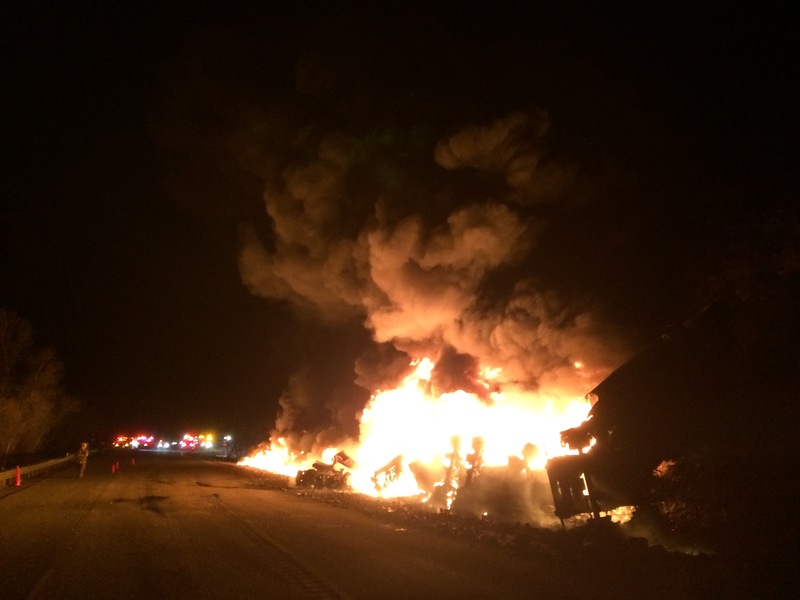 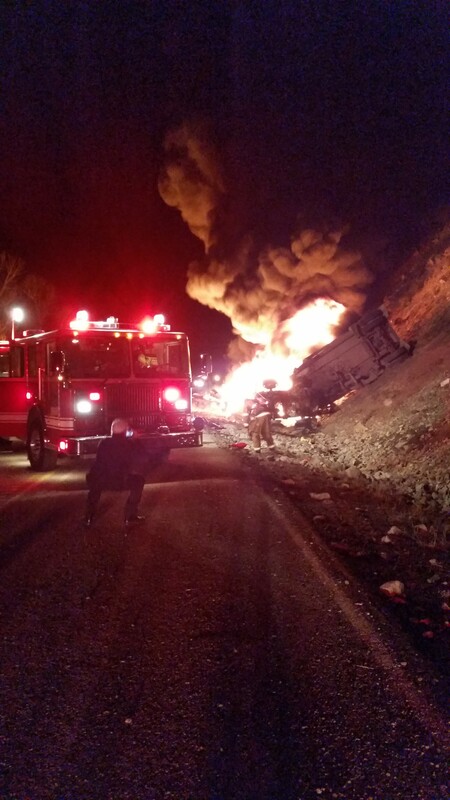 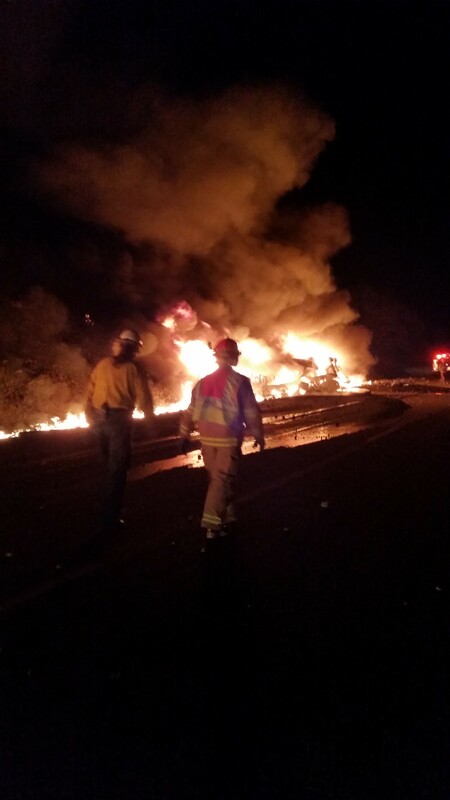 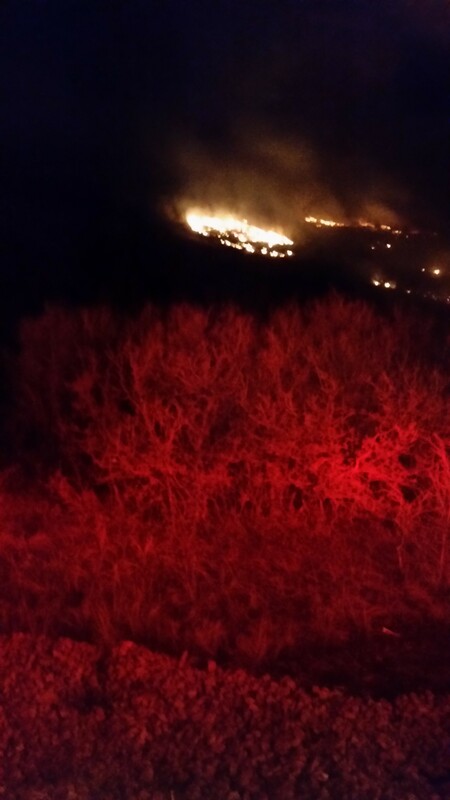 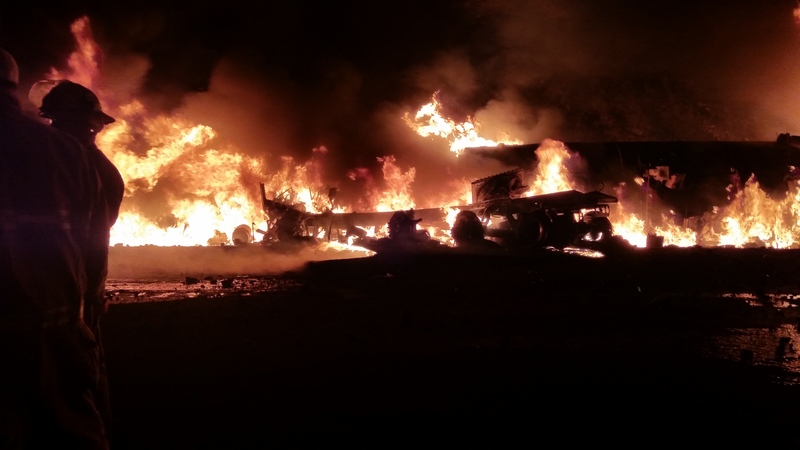 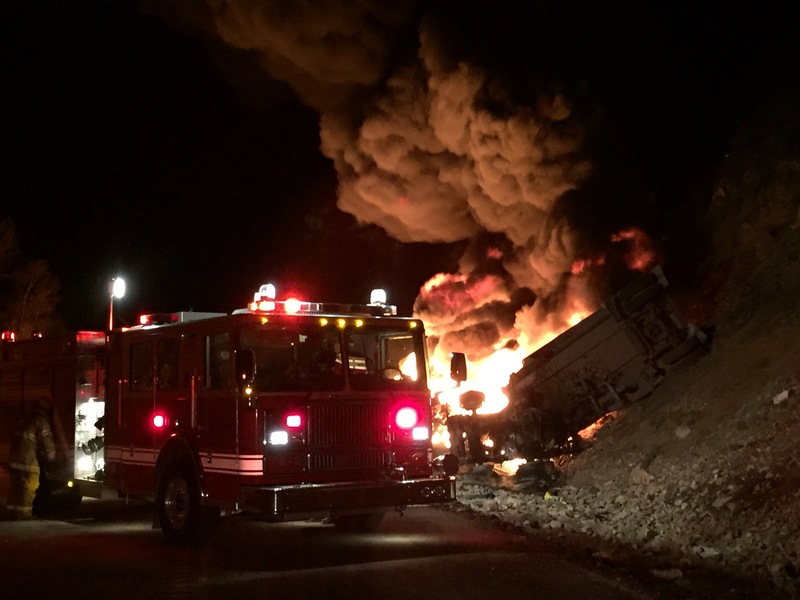 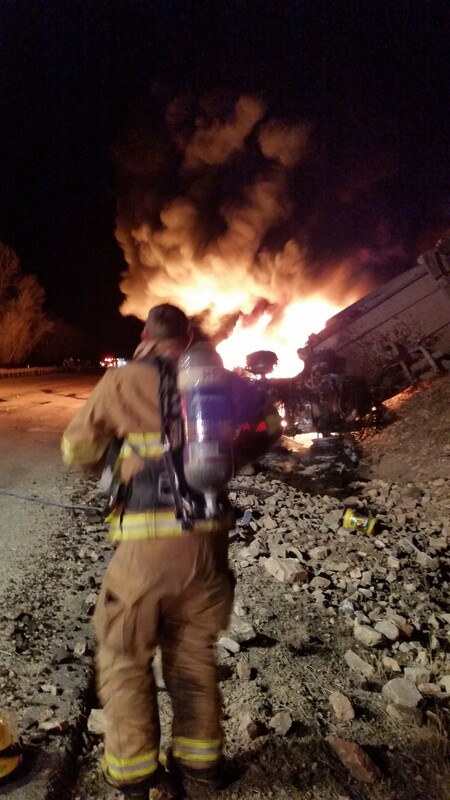 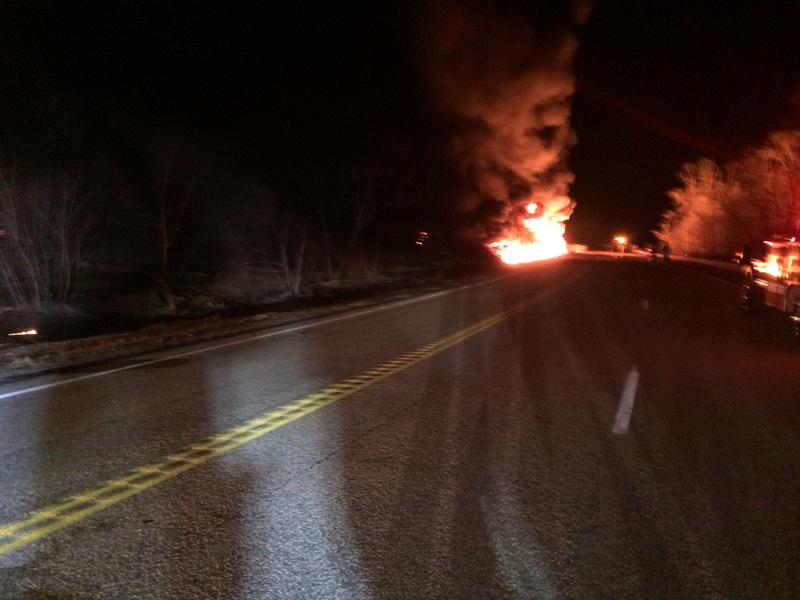 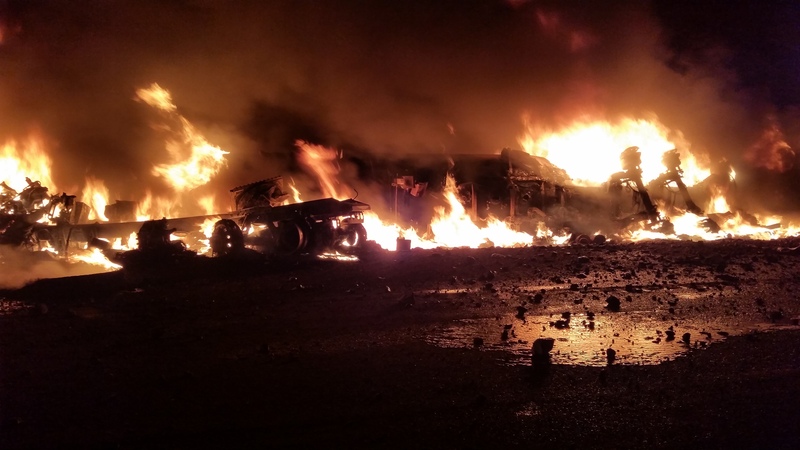 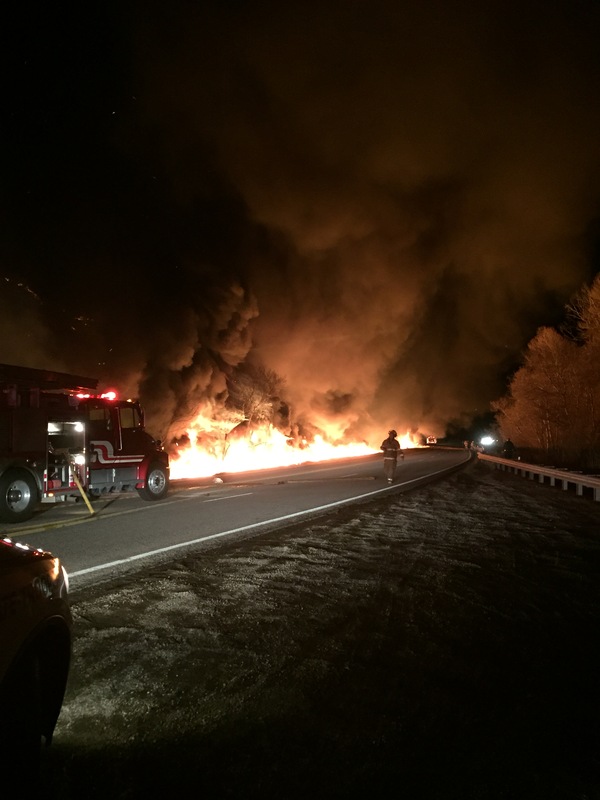 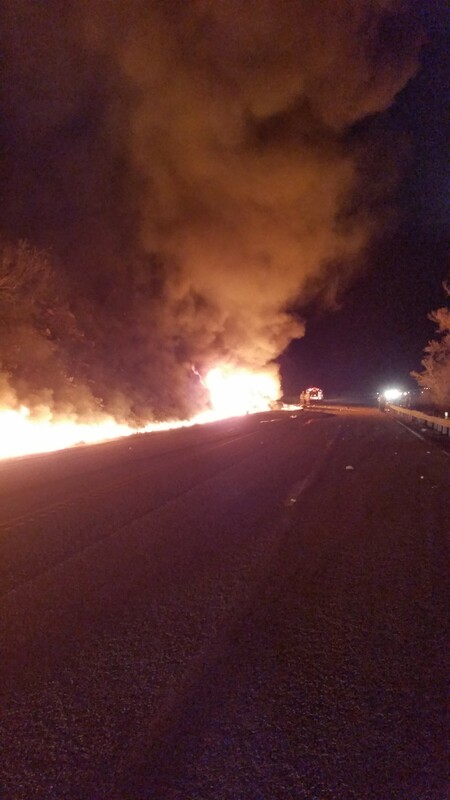 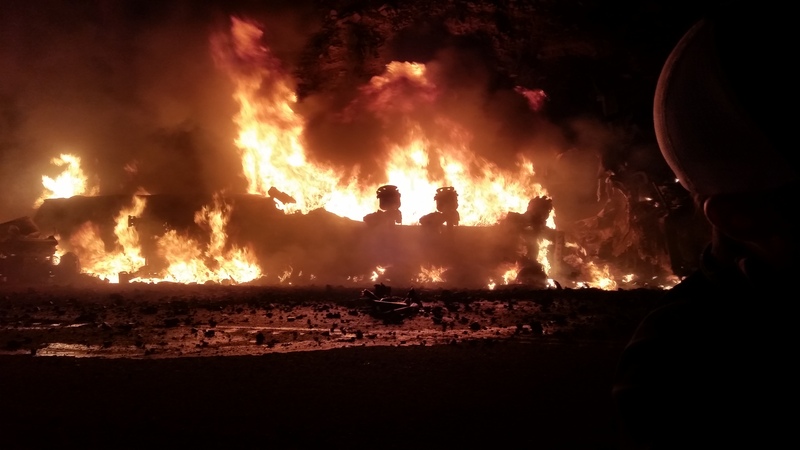 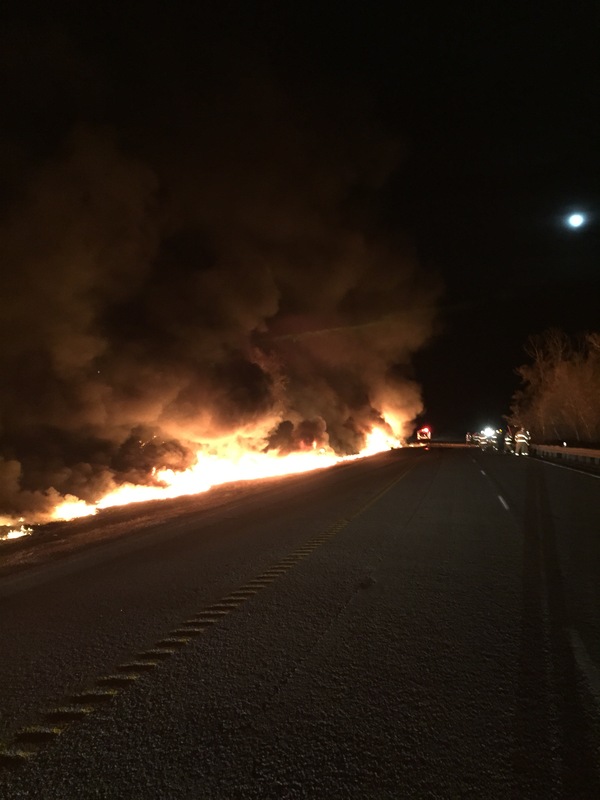 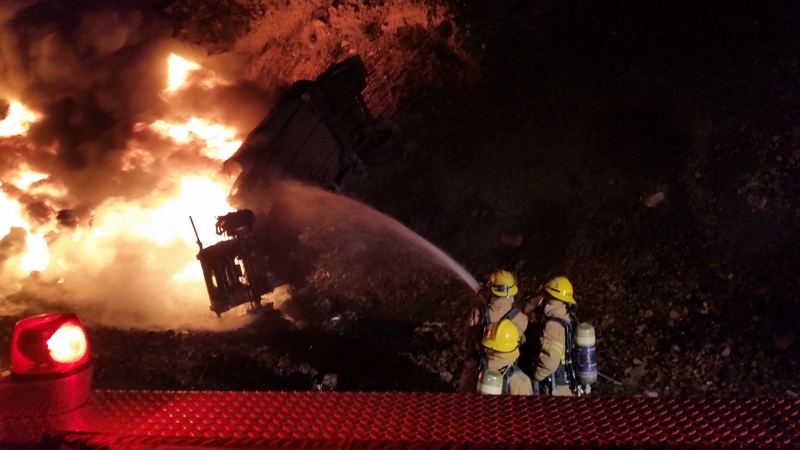 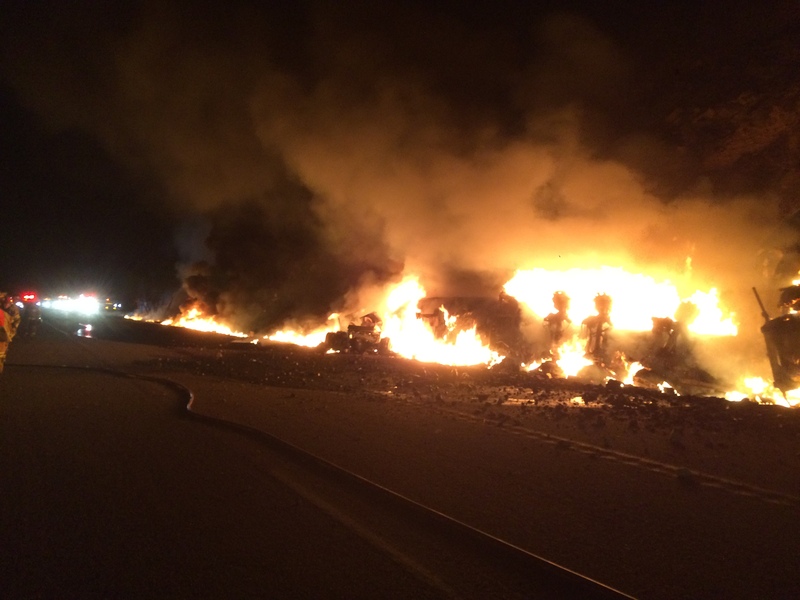 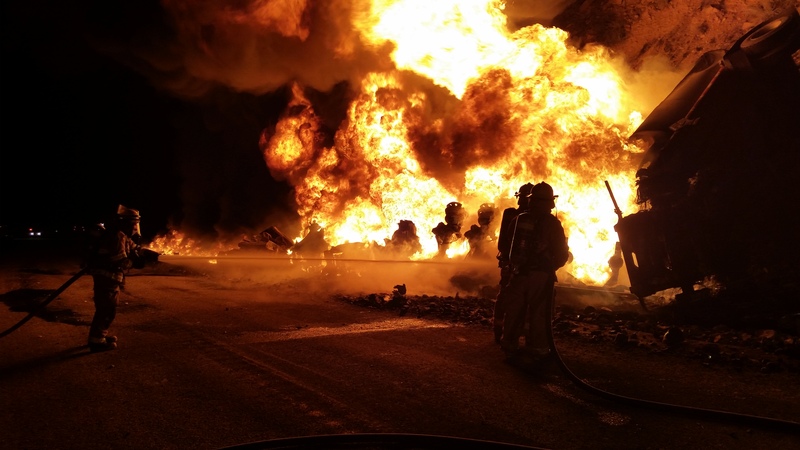 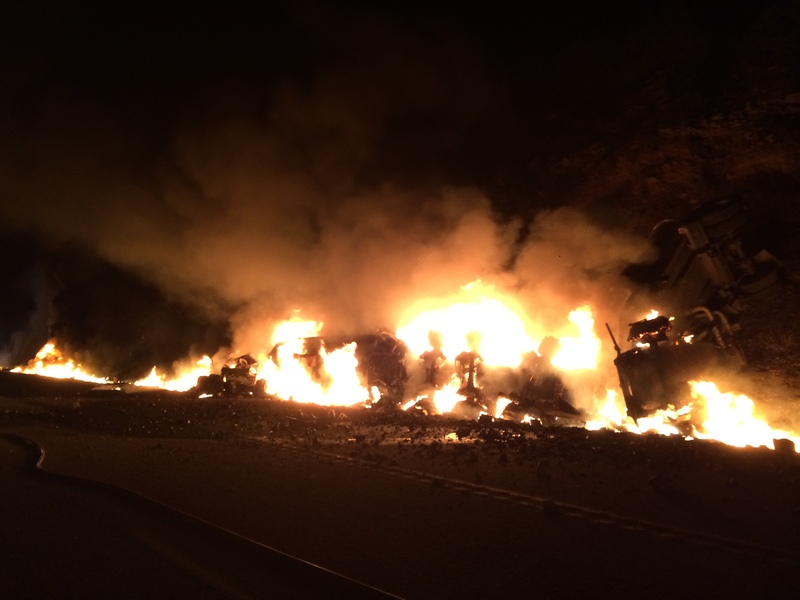 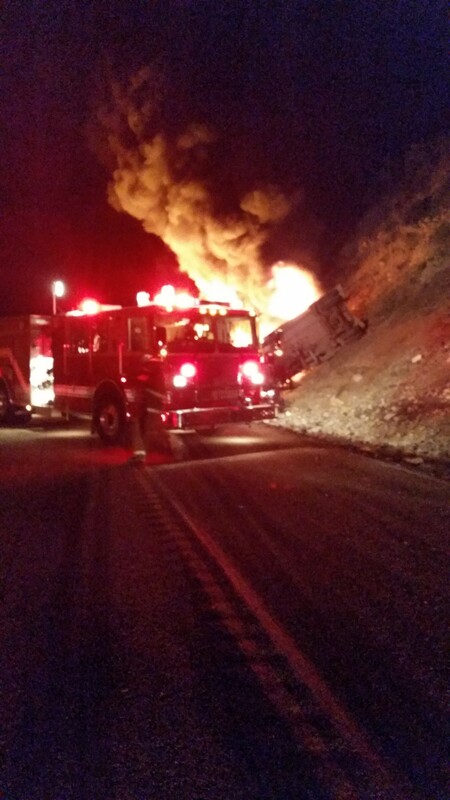 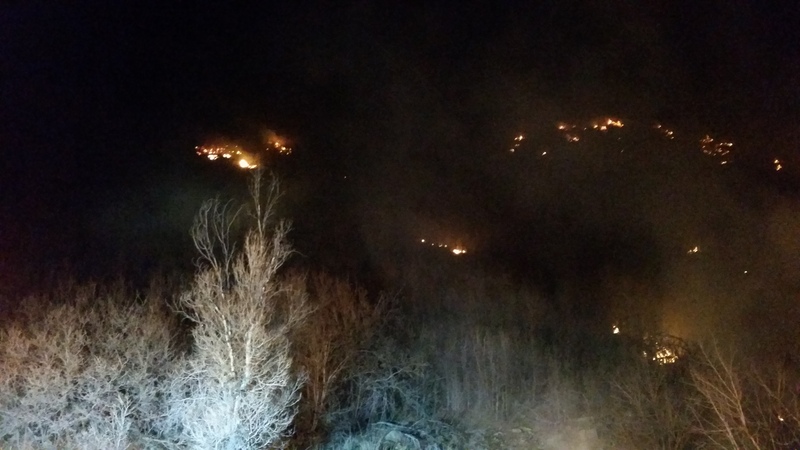 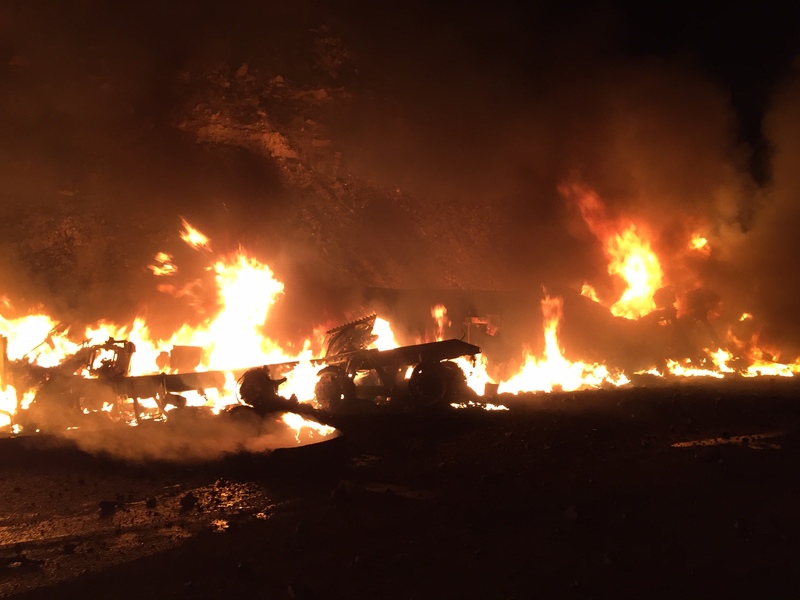 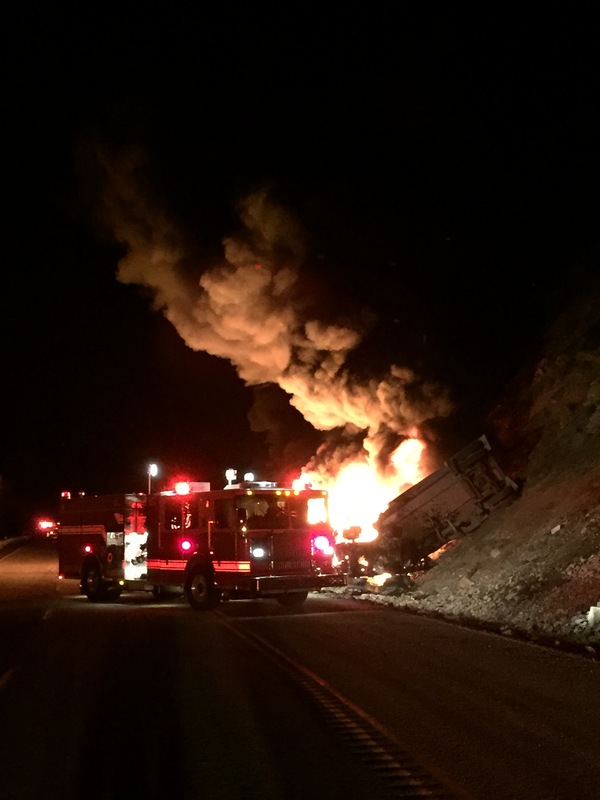 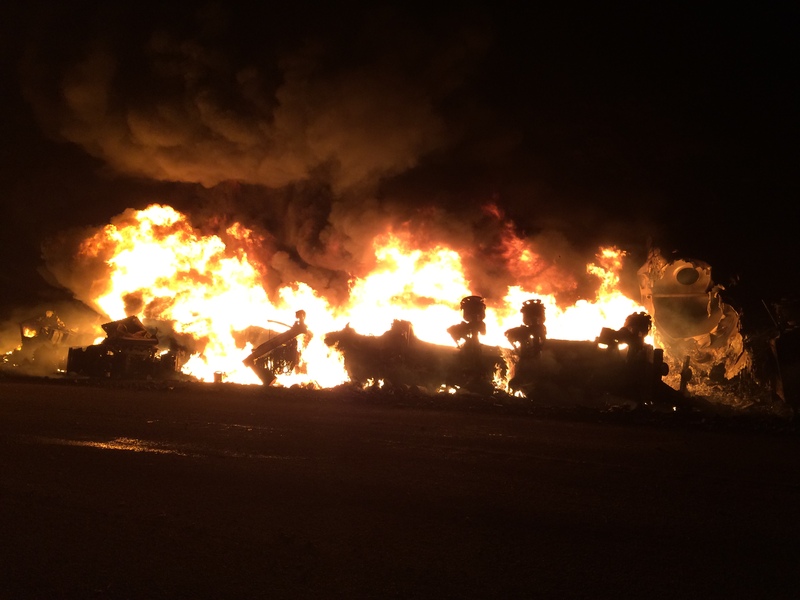 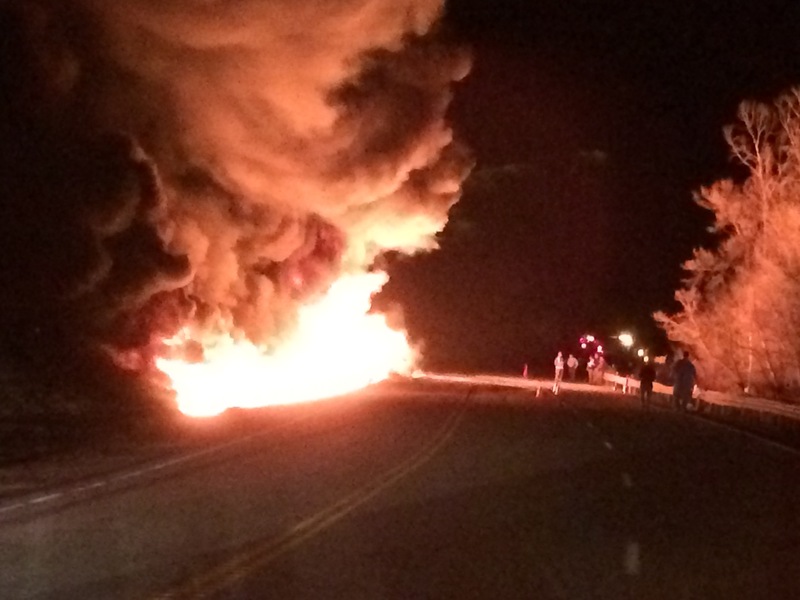 Wasatch County Fire District and EMS were called for a Crude Oil Tanker that had crashed and was on fire several miles South of Heber City in Daniels Canyon. 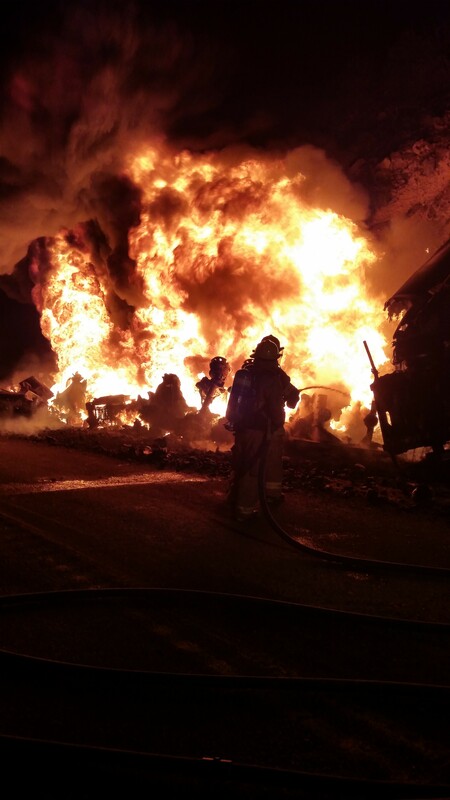 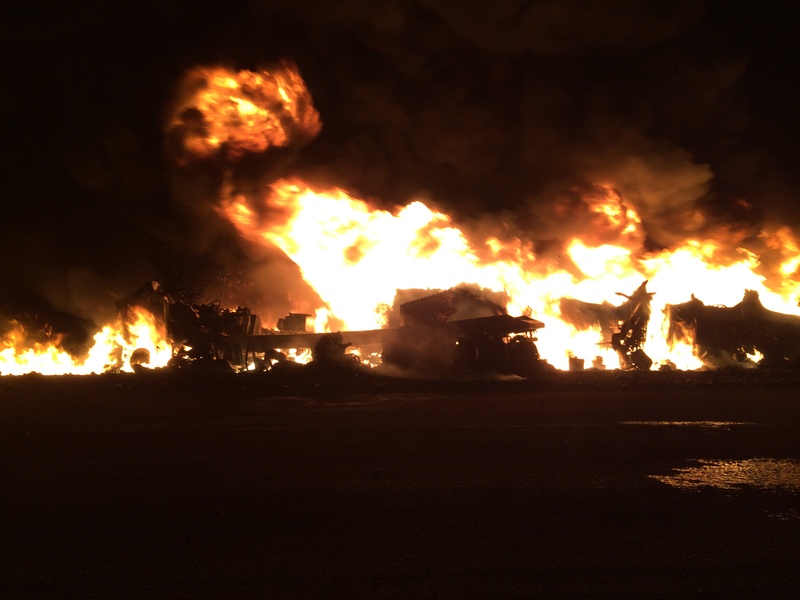 Upon arrival of first out units, driver had escaped the semi with a tanker and pup that was transporting crude oil. 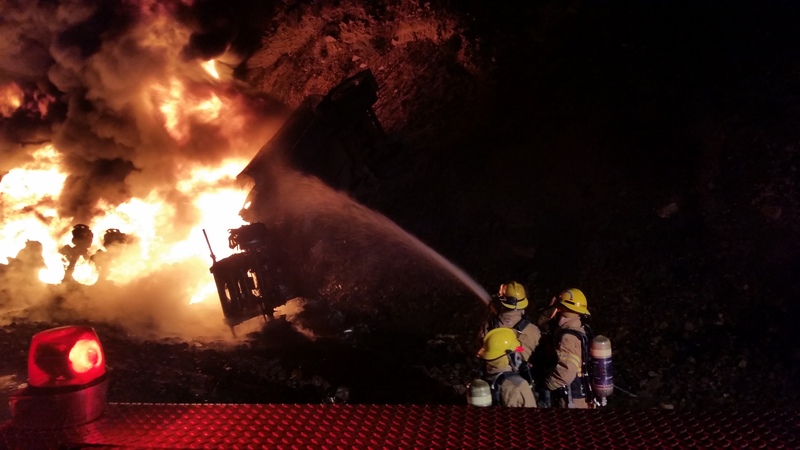 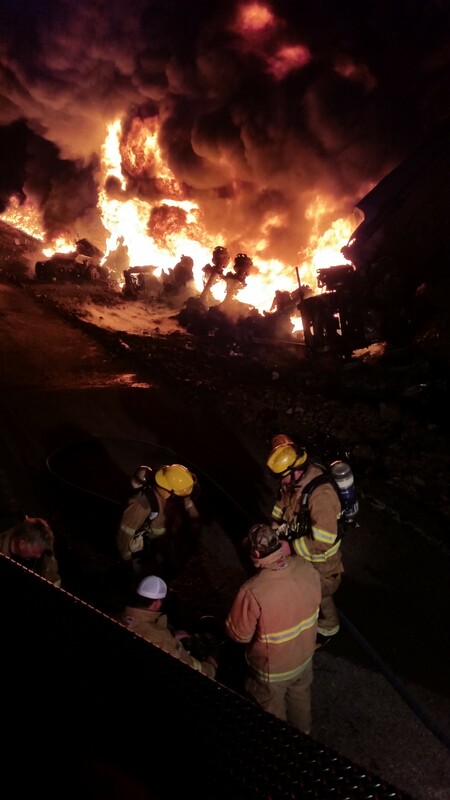 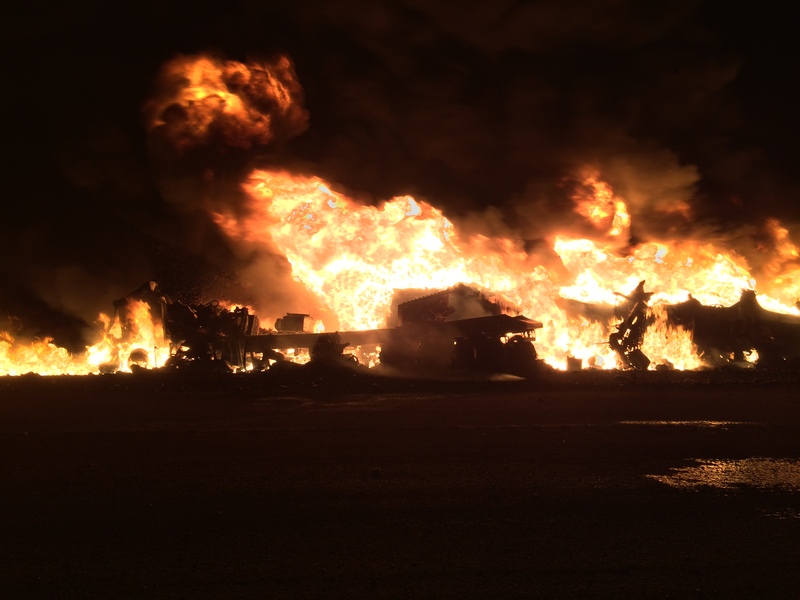 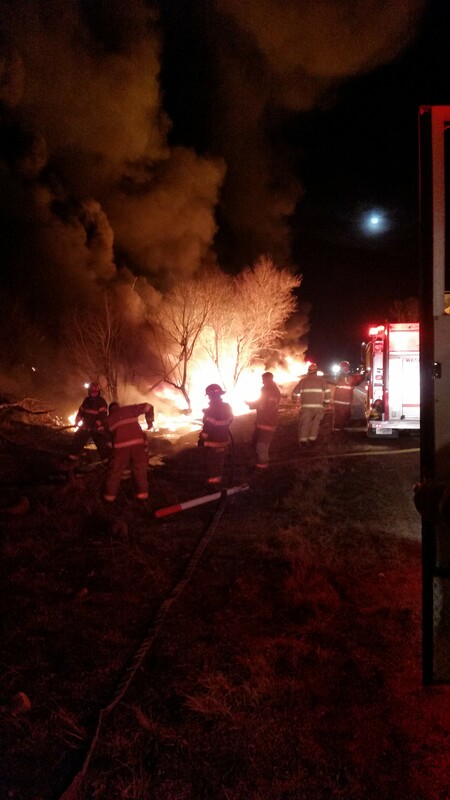 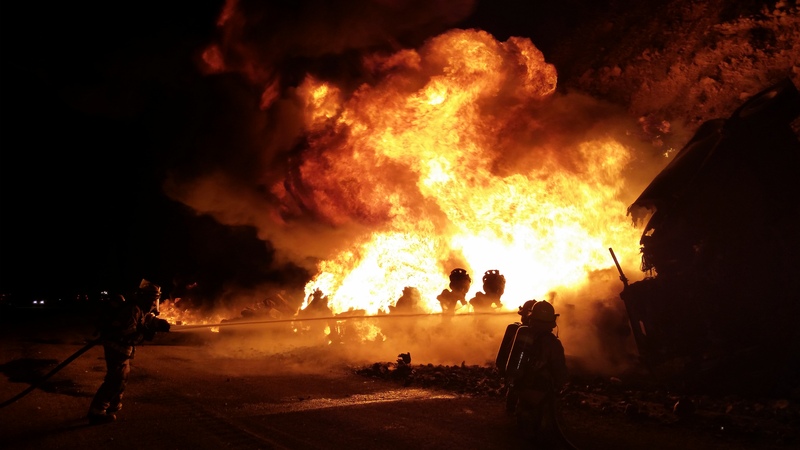 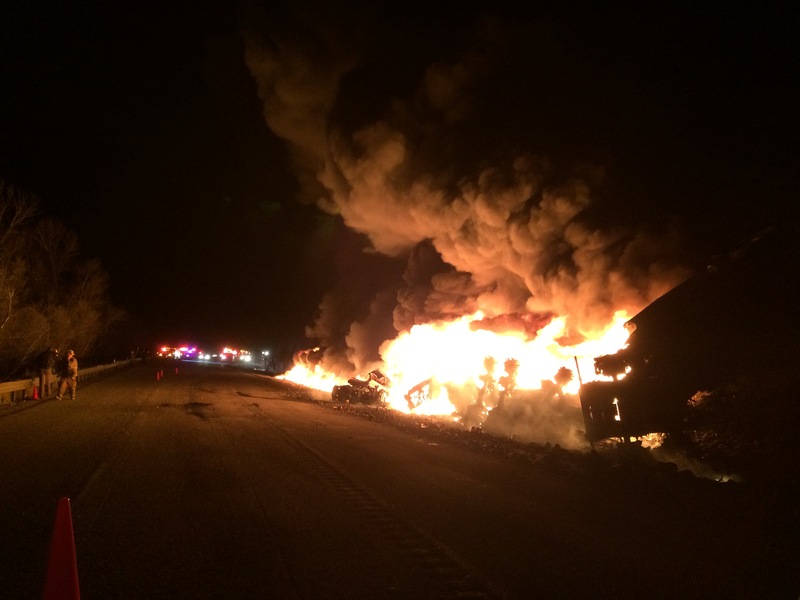 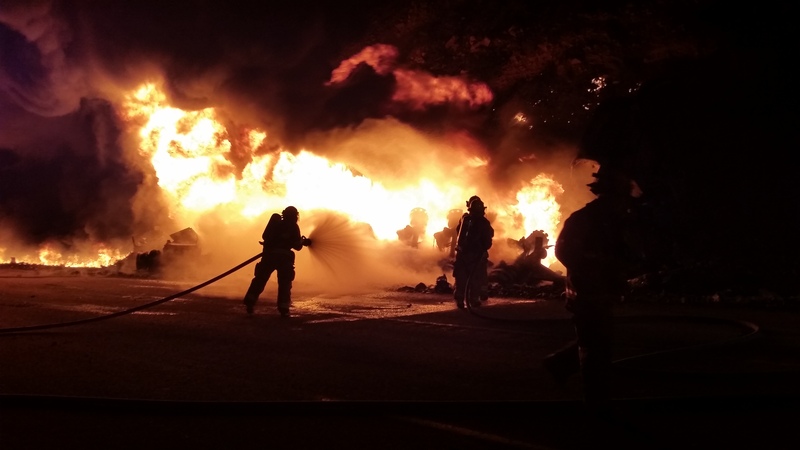 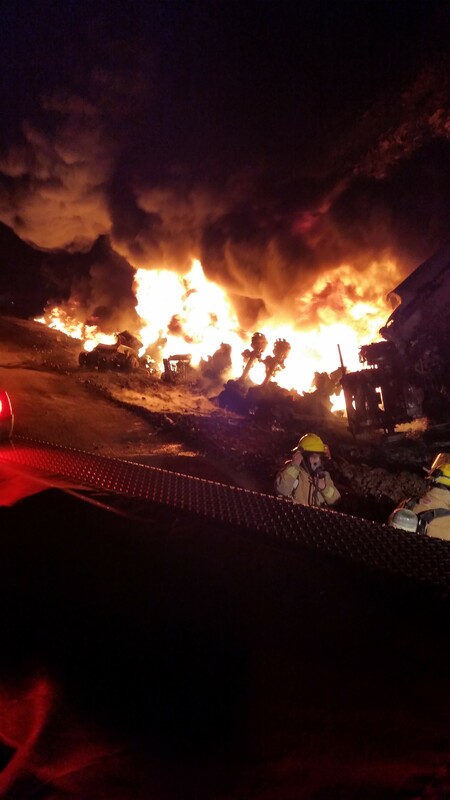 Semi, tanker and pup were found to be completely involved, spilling crude that was running toward a culvert and stream. 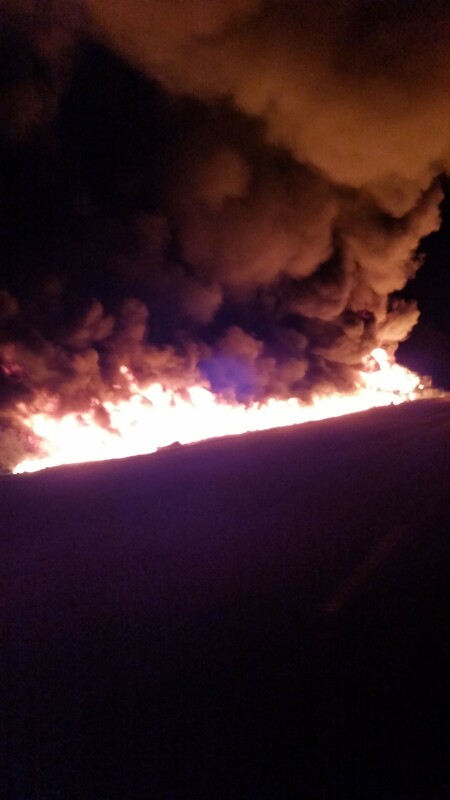 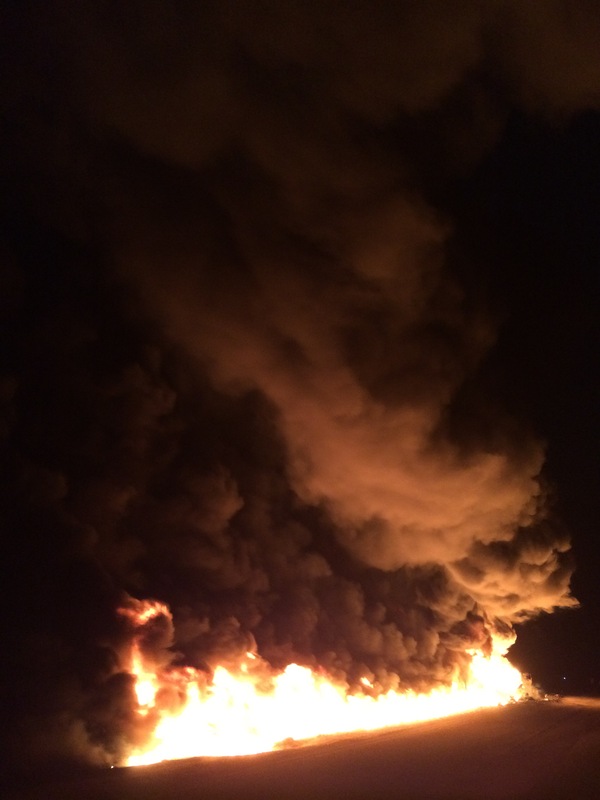 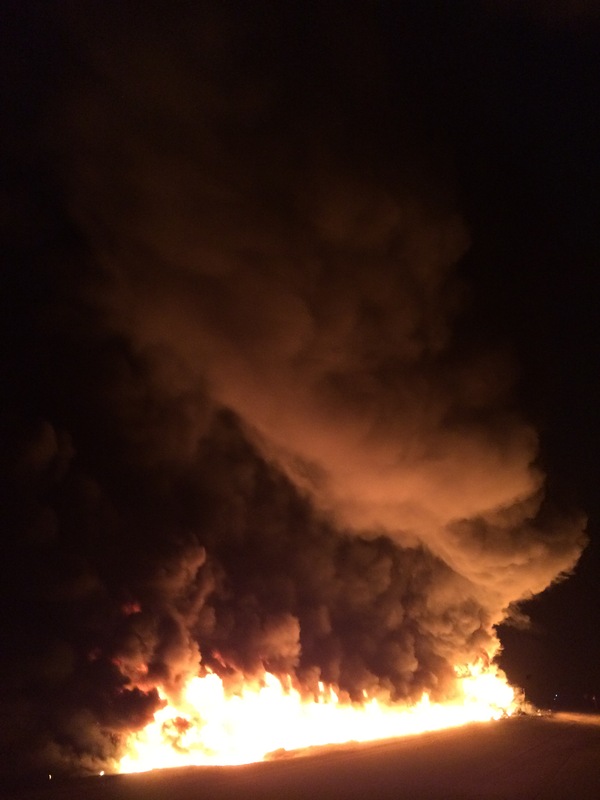 A portion of the crude had ignited and was burning as it flowed downhill. 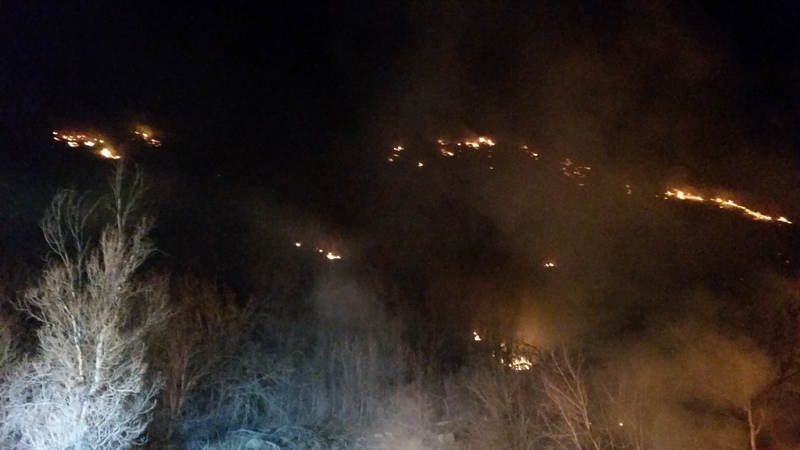 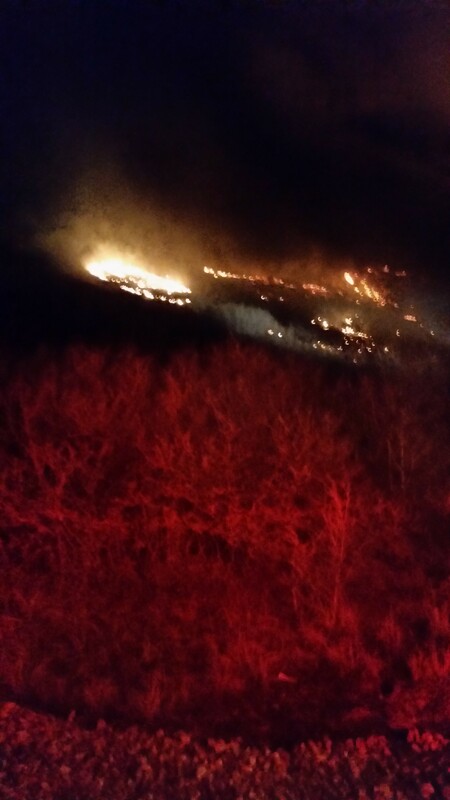 Fire had spread a significant distance downhill and had spread to the hillside burning the vegetation up the mountain. 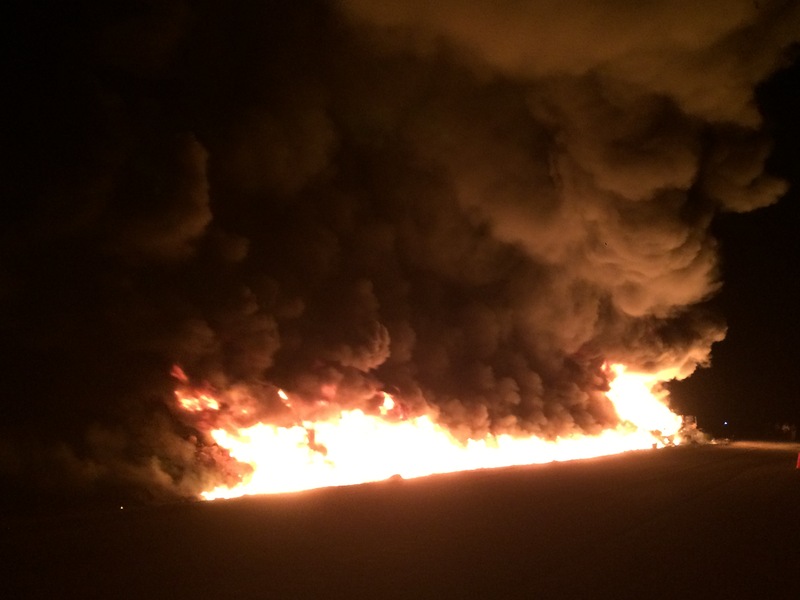 The first arriving engine took steps to stop the spread of crude to the nearby stream. 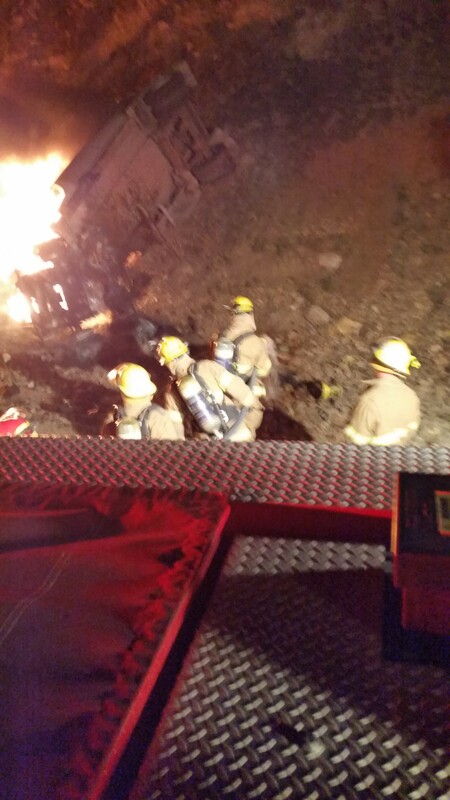 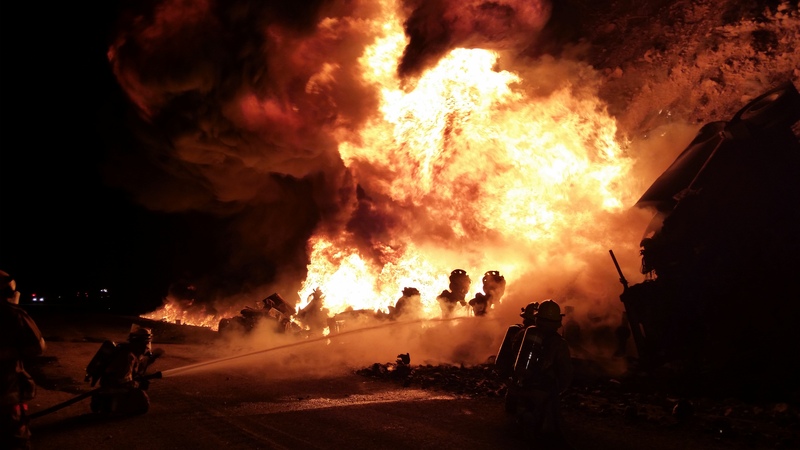 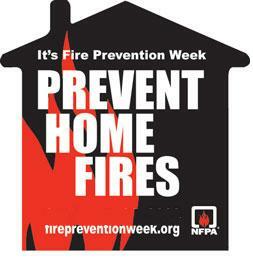 Fire was allowed to burn off the product and was then extinguished by fire personnel.